White fridge shelf rotating in a disco-ball apparatus built into a wooden free-standing construction that encased an artificial tree. Multi-coloured L.E.D. 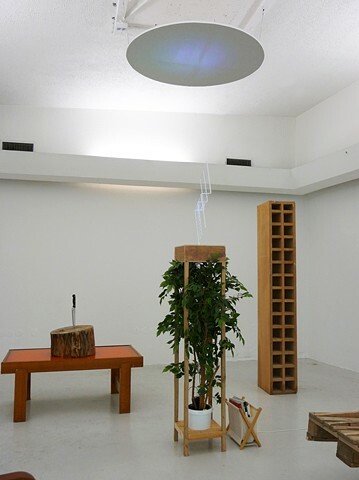 spot-lights trained onto the rotating fridge shelf casting a moving projection onto the suspended wooden disc above.